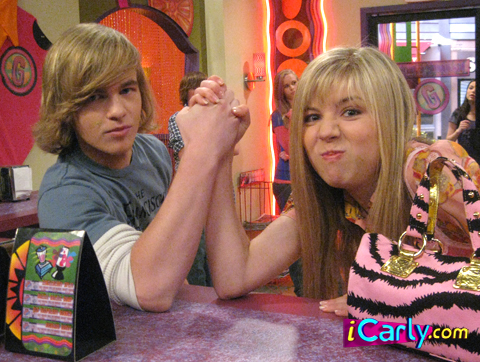 Sam and Pete Thumb Wrestling. . Wallpaper and background images in the iCarly club. This iCarly photo might contain चोली, ब्रासेरी, हस्ताक्षर, पोस्टर, पाठ, चॉकबोर्ड, साइन, साइन इन करें, and बिस्टरो. thats not thumb weasiling thats arm weslting!.